West Ham United striker Javier Hernandez has conceded it is not easy to play up front on his own, but says he is being given chances on a regular basis by his team-mates. Hernandez started for the second game in a row during the Hammers’ 1-1 draw with Crystal Palace at Selhurst Park on Saturday in the Premier League. The Mexican was deployed as the lone striker up front and was only withdrawn in the 79th minute as Manuel Pellegrini opted for a change in approach by introducing Andy Carroll. In the wake of starting two games up front on his own for West Ham, Hernandez has conceded that it is not an easy job to take up in any league. However, the striker says that he receives a lot of support from his team-mates, who feed him with chances on a regular basis, which makes his job less complicated. “It’s not an easy job to play up front on your own in any league, but [Mark] Noble and [Robert] Snodgrass, and the two players on the wing like [Michail] Antonio and Felipe Anderson give you a lot of chances, so you are not completely alone”, Hernandez told the club’s official website. “If I’m on the pitch, I don’t care if I play with one, with two or with five. 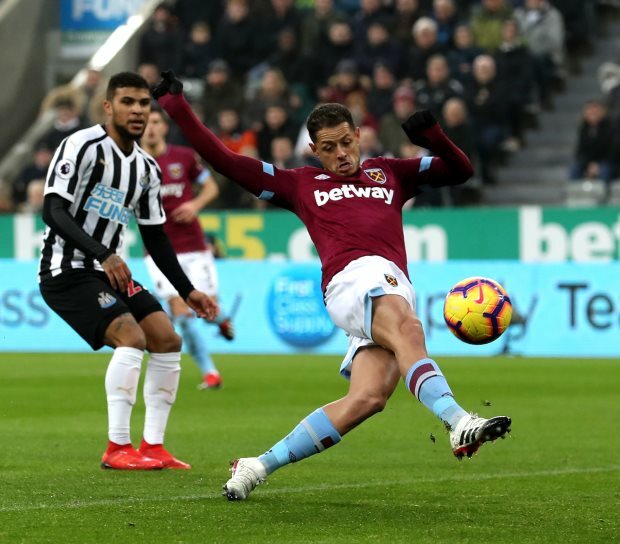 Hernandez, who joined West Ham from Bayer Leverkusen in the summer of 2017, has netted just five goals in 21 appearances across all competitions this term. He was wanted by Valencia in the January transfer window, but West Ham were not keen to sell.